Ratnagarbha explores the vision of John Ruskin, and what relevance it might have for Dharma followers in the modern world and others. This talk, which contains principles that have inspired Urthona magazine over the years, was originally delivered as a paper to the Triratna Buddhist Order in August 2015. The title of the weekend was ‘a conscious surrender to the beautiful’. There is no wealth but life. Life, including all its powers of love, of joy, of admiration. That country is the richest which nourishes the greatest number of noble and happy human beings; that man is the richest who, having perfected the functions of his own life to the utmost, has also the widest helpful influence, both personal, and by means of his possessions, over the lives of others. Friends, I have used as epigraphs these wonderful quotes from the Victorian thinker and art critic John Ruskin, because they embody a certain spirit of abundant life, and generous engagement with the physical world (Buddhists might see this as an aspect of the Bodhisattva spirit) which is what I regard as the greatest gift the arts have to give us. And they helpfully lead us into the world Ruskin and his ideas, which are at the heart of this essay. But before talking about Ruskin I want to recount an experience that I had some time ago. This experience or encounter took place after a concert of early baroque music in a church in one of the villages near Cambridge. It was a freezing February night. The concert took place in candlelight and the music was lovely, but the moment I especially recall came afterwards. Just as I was about to climb into my car I looked up, felt the biting wind of the fens in my face, and saw an immense, blazing tapestry of stars; they seemed very bright and intense, in that wind scoured air, and somehow all the splendour of the evening was up there, but infinitely more subtle and remote, challenging and reassuring at the same time. I suppose if such moments of expansiveness came to us regularly and freshly, so much that they seemed to be what our life was about, if we lived ‘labouring in ecstasy’ as the poet Yeats once put it, we wouldn’t need much else – beyond friends, a roof over our heads and some simple wholesome food. We would have true wealth. The wealth that comes from contact with nature, with the cosmos, even, from contact with art, and with a culture that inspires and heals and challenges. This is what I seemed to feel intuitively that night: that I was blessed and upheld by both nature and a long and rich cultural tradition represented by the music and indeed the plain, dignified gothic building in which it was performed. So it seems to me there are two distinct things here: a basic reverence for nature, and an immersion in a rich cultural tradition that is able to refine, vivify, and distill one’s native, unreflective feelings, to make that energy available and bring it into harmony with one’s ethical and spiritual ideals. I would argue, drawing on Ruskin, that these two aspects working together are vital for the development of an individual, vital for the permeation of the Dharma within our culture, and, to take the broadest view, are both equally vital signs of health in a civilisation. So this is the aesthetic as a transformative force, as far away as it is possible to get from that old shibboleth of ‘art for art’s sake’, which haunted Ruskin as he saw the late 19th century aesthetic movement gathering force, and which still haunts us perhaps, with the fear that any pursuit of aesthetic pleasure is mere decadence or self-indulgence. However, to find such art, to encounter beauty of such soul transforming force, we need to go on a quest, to undertake an ‘aesthetic education’ to use Schiller’s resonant phrase. For the rest of this essay I will be offering some hints, some notes towards a guide for the perplexed in the field of art and spiritual transformation. In so doing, as I say, I will be taking cues from John Ruskin who thought very deeply about this area. Firstly though a brief introduction to the man seems in order. 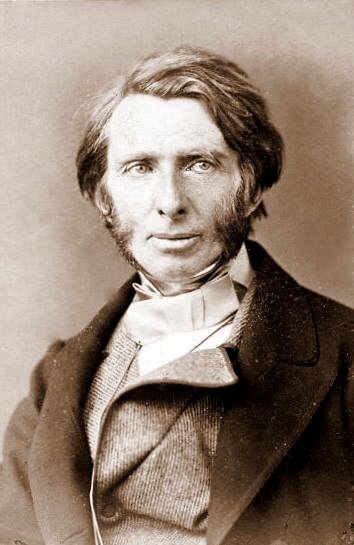 John Ruskin was born in London in 1819, the son of a wealthy wine merchant. He died, rather symbolically, in the year 1900. An only child, he was educated at home and immersed in the bible from an early age by his evangelical mother. The household was not narrow minded however, and he was taken on several adventurous European tours by his devoted parents. From an early age he showed an intense interest in both landscape painting and geology. After receiving a rather poor degree from Oxford he deepened his studies of art, in particular the work of Turner, and in 1843 issued the first part of his Magnum Opus, Modern Painters, which eventually ran to 5 volumes. Modern Painters was initially conceived as a defence of the work of Turner, which had been savagely criticised in the British press. However, even in that first volume he began branching out into a wide ranging investigation of the true nature of art and its value to society. Ruskin was to become the most celebrated and influential art critic of his age. His style of writing – at once prophetic and intimately personal, and of unparalleled eloquence – became one of the hallmarks of the Victorian age. He also became a very influential writer on architecture, especially on the nature of the Gothic. Later in life his attention moved on to political economy, and he became one of the seminal influences on English socialism, although he always claimed, rather mischievously, to be a high Tory of the old school. William Morris’s wonderful novel of utopian socialism, News from Nowhere, is largely based on Ruskin’s ideas. Ruskin was concerned with the dignity of labour and the alienation from manual production caused by the capitalist division of labour, in a way that has an almost Marxian ring to it. For him the wealth of a society consisted in the sum total of people within it engaged in happy, productive, creative pursuits. Some of the institutions, such as state training institutions, and state pensions, which he proposed for the maximising of wealth so defined, are the direct forerunners of many aspects of the modern welfare state. Nevertheless, he was also an elitist, perhaps more in a platonic than a true Tory sense: societies needed to be well ordered and to have a clearly defined, philanthropic ruling class. Sadly some of the more tragic facts about Ruskin’s personal life have tended to obscure serious consideration of his writing and its influence. His unconsummated marriage to Effie Grey was an utter disaster, as a recent movie of that name revealed. Returning to live with his parents he remained very much under the influence of his father until well into his 40s. In middle age he was hopelessly in love with an emotionally unstable young woman called Rose La Touché, who rejected his proposals of marriage when she was 18, and died at the age of 26 in a state of acute mental derangement. In old age, while living in the Lake District, he himself suffered several acute attacks of mania and cause enormous trouble and anxiety to the people who were looking after him. If you want to know more about his life there are several excellent biographies, the best, and longest is the two volume one by Tim Hilton. But before reading those I would strongly recommend exploring his autobiography Praeterita. While, of course, biased, and lacking in any mention at all of many significant events (such as his marriage!) there is no better introduction to the spirit of the man. Here there are passages of great beauty about his travels, especially those in the Alps. And throughout his enormous zest for life, his curious questing spirit, as much in love with the wonders of rocks and strata as with painting, is expressed with force and eloquence. Ruskin was an man of refined and thoughtful temperament, but also of large spirited, impulsive emotions; a man who had peculiarly intense, waywardly eccentric tastes and interests. He considered nearly all neoclassical architecture to be a disaster. He regarded Tintoretto almost as a god. He wrote passages of biblical grandeur about Turner, elevating him as the neglected prophet of his age. All this, as well as disarming confessions of his many faults, especially, as he sees it, his sheer, unregenerate childishness, are to be found in this wonderful volume. What were his ideas though? And why were they so influential? These are big questions, but in a nutshell we can say that Ruskin constantly returned to a sense that the artistic productions of a civilisation are both crucial to its health and future development, and, so to speak, a barometer of its spiritual vitality, or indeed of its degree decadence and enervation. So for him the state of the arts in a country would be something of immediate and pressing social concern for all classes of society. His principal illustration of this was to relate the history of the Venetian Republic, its glory and its later decadent decline, to the architecture it was producing at different periods. In particular he focused on the artwork of tombs – how they declined from an austere perfection achieved in the early renaissance into a decadently voluptuous profusion of cherubs and scrolls in the baroque period. We have so much taken on board at least a watered down version of this notion, that it is hard to see how radical a strategy this was at the time: to move away from seeing the arts as merely a decorative sign of refinement and prestige amongst the ruling class; but equally not to limit the artist to being what Northrop Frye memorably styled a ‘morbid secretion’ – a Romantic dissident who expresses the inner sickness of society from its margins. Furthermore, this highly developed sense of the social function of art arises from Ruskin’s conviction that the act of making or perceiving art involves the whole human being. Emotion, the moral sense, knowledge, wisdom, strength, sensitivity, memory and every other human faculty are all focused on a single point in the aesthetic moment. Seeing the aesthetic side of our nature as something separate from the rest of life in society is as false as the modern demon of seeing of human beings purely as economic units, something which Ruskin also railed against frequently. Finally, Ruskin develops the romantic theory of the imagination in very interesting directions with his conviction that such acute perception will give rise to artworks characterised neither by mere intense subjectivity, nor by mere cold, factual objectivity. He refuses the romantic ‘pathetic fallacy’ of seeing nature as permeated by the subjective hopes and fears of our inner life. But equally nature truly observed, in his view, can never be a cold, objective mechanism or process. Stanfield’s sails are twisted into most effective wrecks, as beautiful as pine bridges over Alpine streams; only they do not look as if they had ever been serviceable windmill sails; they are bent about in cross and awkward ways, as if they were warped or cramped; and their timbers look heavier than necessary. Turner’s sails have no beauty about them like that of Alpine bridges; but they have the exact switchy sway of the sail that is always straining against the wind; and the timbers form clearly the lightest possible framework for the canvas, – thus showing the essence of windmill sail. Turner has truth on his side, and this in the end leads to a deeper and more morally efficacious kind of beauty, even if it is less immediately attractive. I could continue on at length outlining Ruskin’s ideas, and perhaps attempt with some trepidation to summarise the contents of the entire five volumes of Modern Painters. Fortunately however, one of Ruskin’s books on architecture is much more concise, this is the Seven Lamps of Architecture. Here his ideas on art and society are focused on to a relatively brief consideration of the essential characteristics of good architecture. If one expands them out towards their relevance for all art forms, the result is a useful summary under seven headings of the essential points of Ruskin’s theories of art and the good life. The Seven Lamps was first published as an extended essay in 1849. Ruskin here puts himself forward as a torch bearer of the Gothic revival, which was already underway. He wishes to discover the underlying moral principles that make gothic architecture the best style to emulate in the modern world. That revival is long dead of course, but I will show here that his principles have a much wider relevance. Especially I believe they have some relevance for us. Within our Sangha we have long had a focus on art and the imagination as being tools for personal transformation. Ruskin’s ideas broaden this out towards a concern with the transformation of society. As we know, Buddhists all over the world are becoming increasingly concerned with the limitations of globalised capitalism, and playing their part in formulating alternatives. Ruskin’s ideas help us to see that in addition to pressing economic and ecological concerns, a concern with the nature and status of art within our culture is an equally important part of this conversation. So here are his Seven Lamps. Now first to define this lamp, or spirit, of Sacrifice, clearly. I have said that it prompts us to the offering of precious things, merely because they are precious, not because they are useful or necessary. It is a spirit, for instance, which of two marbles, equally beautiful, applicable, and durable, would choose the more costly, because it was so… It is therefore most unreasoning and enthusiastic, and perhaps best negatively defined, as the opposite of the prevalent feeling of modern times, which desires to produce the largest results at the least cost. Now, I would argue that this is a spirit which is very lacking in our society, to the point where it would invite ridicule. Imagine, for example, that the people of North East England, had by common agreement assented to a few percentage points being added to their council taxes for several years, in order that the enormous bronze sculpture by Anthony Gormley, The Angel of the North, be gilded with pure gold. Imagine that the national outcry this would have given rise to, how many Newcastle politicians would have wrecked their career on such an edifice of pure hubris, how many hospitals would have, allegedly, not been built as a result. But think how some of the great cultures of the past have honoured their highest values in this kind of way. The staggeringly ornate cathedrals of Northern Europe, the gilded stupas of south east Asia to mention but two. Now I am not for one moment arguing that Gormley’s sculpture deserved such treatment, indeed its effect, such as it is, would be ruined by a gold finish. The point is that this spirit has been so much lost that we can hardly imagine what it felt like any more. There are a few exceptions here and there. For example the main progenitor of Shakespeare’s Globe on the south bank was an American actor, Sam Wanamaker. Although he was already a successful actor Sam devoted a huge amount of energy in his later years to raising funds for this project and pushing it forward, even though many thought it would be impossible to achieve. Sadly he died while the theatre was still in the early stages of construction. I am quite sure that for him it was simply a labour of love; a gift to the people of the city that he loved, and above all an act of homage to Shakespeare himself. So the lamp of sacrifice points to a society being willing to devote a significant proportion of its wealth towards the arts, and to see this as being just as important as social welfare spending. This can apply equally in microcosm, to communities or spiritual movements within society. But if we are to lavish resources on public art works they should constantly speak of and to the deepest level of our humanity, as Shakespeare does of course. In the field of visual arts to be able to produce artwork depicting individuals, who radiate wisdom and compassion, would be a sign of great progress in our society I believe. However, personally I do not believe that importing styles, or even much of the iconography of the east is the way forward for Buddhism in the West. This will only result in artwork that seems hieratic and remote. This does not necessarily mean a return to Victorian style realism I should add! Some of the ancient byzantine icons of Christ which manage to suggest a real human being who was also divine, have been and could continue to be of great inspiration to modern artists. Ferment is a marvellous metaphor, as in fermentation, for describing a state of mind which is highly receptive yet full of mysterious, fertile activity. If you still feel a bit puzzled about this subtle theory, rather than thinking about it I urge you to go and look at some paintings by Turner, especially perhaps some of his watercolours. Here you will discover quite clearly a very intimate and close observation of natural phenomena, especially seas and skies, but rather than photographic transcription, an immensely powerful transrealism which conveys the overall energy, the essential effect of the storm on the mind, the ferment as Ruskin puts it. It is certainly not subjective in a slapdash romantic-emotive way, but it is certainly not coldly objective either. With immense skill those carefully controlled, receding shrouds of colour convey the sublime power of a sky of windblown vapours and light. So in Ruskin’s view, a great artist, like Turner, who sees farther and more deeply than most of us, is able to communicate something of that ferment of mind, makes the spectator “a sharer in his own strong feelings and quick thoughts . . . and leaves him more than delighted, — ennobled and instructed, under the sense . . . of having held communion with a new mind, and having been endowed for a time with the keen perception and the impetuous emotions of a nobler and more penetrating intelligence” (3.134). By impetuous Ruskin means something more like fresh and spontaneous. Clearly this ability to perceive the visionary truth of nature, immanent within its sensuous forms, but beyond a simple sensuous ravishment by them, requires a special faculty of mind. This mode of consciousness Ruskin called the theoretic faculty. It is an ability to perceive the sheer wonder, movement and subtle interconnectedness of things, which Ruskin’s rather dusty theological sounding term Theoria doesn’t convey very well in my view, so I have avoided mentioning it up till now. It bears some relation to Coleridge’s conception of the imagination as the fundamental world-creating activity of the mind, the “reflection in man of the divine ‘I Am'”, but with a peculiarly Ruskinian objectivity – a kind of post-romantic Platonism you might say. We seem to be more in the territory of the mirror than the lamp, partly reversing what M. H. Abrams famously saw as the principal innovation of Romanticism, the move from art as mimesis, mirroring, to art as divine creation, light from the artist’s mind illumining what was dark from his own, unique point of view. For Ruskin detailed observation of nature results not in the creation of a unique world, but a revealing, in a flawed mirror to be sure, of beauty; not absolute beauty perhaps, but a hidden, highly dynamic sense of meaning and significance. Languidly, but not idly, I began to draw it; and as I drew, the languor passed away: the beautiful lines insisted on being traced, – without weariness. More and more beautiful they became, as each rose out of the rest, and took its place in the air. With wonder increasing every instant, I saw they ‘composed’ themselves by finer laws than any known of men. At last, the tree was there, and everything that I had thought before about trees, nowhere. Alas there is no space here to now apply this theory of truth to contemporary art. I will just say that although contemporary art forms can do many interesting things, there seems to be little, outside amateur art groups, of this kind of naturalistic achievement. But for those artists who do wish to move in this direction, I feel that Ruskin may be a great comfort and support. For he gives the lie to the widespread idea that the recording of things as they are is better left to photographers. Painting from nature has this special quality – that it trains perception, brings about that subtlety and depth which allows one to begin to see beneath the surface of things into their true life. I am quite sure that the thousands of amateur painters who work at their craft up and down the country and exhibit in village halls all know something of this intuitively, even if they could not articulate it. I very much hope that one day we will have a Buddhist art school, or at any rate our own drawing school, where these values are upheld explicitly, where the enormous transformative value of simply looking, and recording what you see on paper is upheld and appreciated. For the most part the art world and the art schools are moving in a very different direction, which has its own value, but painting from nature which has a real power is now very hard to find. One exception that springs to mind is the painter of luminous far northern landscapes and icebergs Keith Grant whose work we have championed in Urthona magazine for many years. Meanwhile in the world of poetry things are quite different, and, I would say, the healthier for it. The value of observing and writing about nature is widely appreciated by both amateurs and some of our best poets. For example Alice Oswald, building on the achievement of Ted Hughes, is writing nature poetry with precisely the kind of deep observation combined with openness to the underlying mythic energies of our experience of the natural world that Ruskin championed. In this reverting to the memories of those works of architecture by which we have been most pleasurably impressed, it will generally happen that they fall into two broad classes: the one characterised by an exceeding preciousness and delicacy, to which we recur with a sense of affectionate admiration; and the other by a severe, and, in many cases mysterious, majesty, which we remember with an undiminished awe, like that felt at the presence and operation of some great Spiritual Power. An image might help to make this clearer: imagine a cliff top with a beautiful swathe of grass and wild flowers. Part and parcel of this scene and its effect is our knowledge that the lovely expanse of turf rolls away into vast empty space, with a vertiginous drop to the sea below. The closer the eye approaches the clifftop the more the beauty of the scene is infused with a sense of awe and wonder at the way in which the greenness ceases, and tips into nothingness. This is a bit like the relationship between the sublime and the beautiful in this passage. The sublime is not found in a separate kind of object; it is an aspect, a sense of something beyond, of wonder and power, that can infuse many different forms, shading in or out of focus with the fluctuations of the observer’s sensibility. Paradoxically there is something a little bit narrow about the extensive writings of Burke et al on this topic. The sublime seems to be something that can be safely contemplated, via the comfort of the commodious travel arrangements of an 18th-century gentleman. One appears to be titillated rather than threatened by these pleasurable feelings of awe up in the mountains. Ruskin will have none of all that. In order to feel the sublime in its true sense we must be genuinely contemplating the possibility of our own death. It is precisely because mountain landscapes make us aware of our frailty and smallness as an embodied being that they can give rise to a sense of the sublime. And surely, in the end, what we are contemplating is not merely physical death but something which spells the death of our cherished conceptions of who we are, of the ego in other words. Ruskin is definitely on the right track when he makes the sublime in this sense part and parcel of any genuine and deep experience of beauty. And, movingly, it is this earlier synthetic view of the beautiful and the sublime to which he appears to return in one of his last recorded utterances about nature. In 1888 Ruskin was staying at Sallenches, near to the Alps, when he met H. W Nevison, A disciple of Carlyle, who recorded his conversation with Ruskin. At this point the great man was old and sick and wandered between lucidity and mania on different days. However, on this occasion he conversed calmly with Nevison and remarked, as they looked across the fertile valley to the red precipices of the Varens which rose sheer before them, that there was no place like Sallenches for beauty and sublimity combined. This is the spirit of the true artist. Possessing from his birth and extraordinary sensitiveness to what Wordsworth called “unknown modes of being” – a capacity to experience what Mr Aldous Huxley, writing of DH Lawrence, describes as “the dark presence of the otherness that lies beyond the boundaries of man’s conscious mind” – He is passionately eager to widen and deepen the range of his experience to the farthest possible limit. 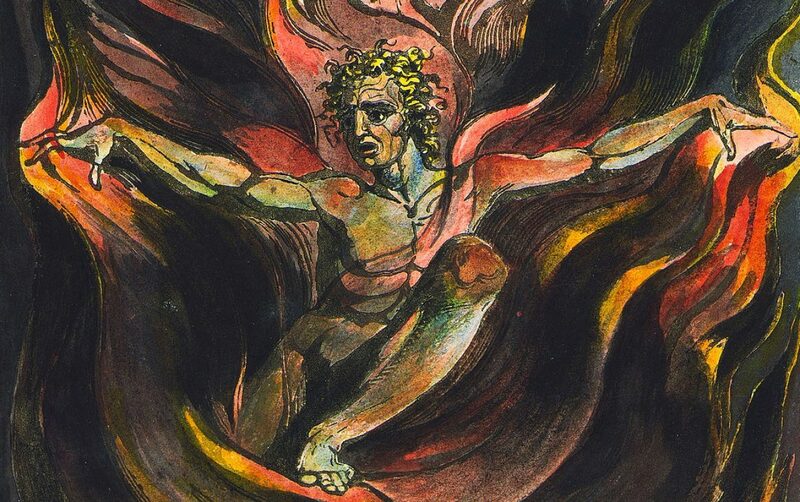 Personally I find it very helpful to follow Ruskin, and consider this aspect of beauty, its power to suggest “the dark presence of otherness”, or ‘greatness’ as Ruskin has it, under the richly resonant term of the sublime, descriptions of which go back to Longinus’ treaties on the sublime from the second or third century CE. And to remark in conclusion of this section: appreciation of the value of a conscious surrender to the sublime in nature is fairly widespread in our culture – people are at the very least open to the idea that cultivating the appreciation of nature at its wildest can do you good – however it is much harder to find modern artworks to which this term can convincingly be attached. Rothko perhaps. How many skyscrapers are truly sublime, as opposed to just vast and tall? A friend suggested to me that the installations of James Turrell might be seen as exploring the sublime in terms of pure geometries of light. And I might suggest the monochrome photography of Bill Brandt: there is that remarkable shot of some tiny birds eggs with the mountains of the Isle of Skye in the background. But in any case to seek out such works, to spread the word about them, and appreciate them more and more fully can only be a worthwhile lifelong quest. I hope that Urthona magazine has, during its 22 year history, made some small steps in that direction. Accidental carelessness of measurement or of execution being mingled indistinguishably with the purposed departures from symmetrical regularity, and the luxuriousness of perpetually variable fancy… How brightly the severity of architectural law is relieved by the grace and suddenness. Throughout his life Ruskin remarked on the importance of a sense of failure and necessary imperfection to the moral and the artistic life. To illustrate his Lamp of Memory Ruskin opens with a ravishing description of the mountains of the genre in the foothills of the Alps. It is a spot which has all the solemnity, but none of the savageness, of the Alps; where there is a sense of a great power beginning to be manifested in the earth, and of a deep and majestic Concord and the rise of the long low lines of piny hills, The first utterance of those mighty mountain symphonies, soon to be more loudly lifted and wildly broken along the battlements of the Alps. The flowers in an instant lose their light, the river its music, the hills become oppressively desolate; the heaviness in boughs of the darkened forest show how much of their former power had been dependent on on a life which was not theirs … Those ever springing flowers, and ever flowing streams had been died by the deep colours of human endurance and valour and virtue. An interesting thought, albeit one we may not agree with. But taking the theme more broadly, it is widely understood these days that the appreciation of wild nature is something that arises within a cultural tradition – you have to learn how to do it – and we have been taught by Wordsworth and Turner and Burke and Ruskin, and many others, even if we are not aware of it. Further on, we can certainly follow Ruskin when he concludes this section with an impassioned plea to avoid the cardinal sin of restoration, which destroys what remains of the past as it attempts to preserve. The Victorians probably destroyed much more than the roundheads with their ham-fisted restoration of churches especially, and Ruskin did what he could to ameliorate this. Underlying all this of course is a deep-seated appreciation of the value of revering and appreciating the past, and building on what it has a bequeathed to us. Another of Ruskin’s great themes concerns the way in which appreciating artworks from the past is can give us a very direct, vivid sense of how people saw the world, and felt and thought about it, in times gone by. They are a gateway to the past of unparalleled value. These days it is one of the great dangers of modern social democratic values that reverence for tradition, although it may find a place, lacks a firm ideological footing. Nowhere is this more apparent in the arts with that constant pressure to innovate and ‘make it new’. Ruskin has much to offer in encouraging a more balanced approach it this regard. From this we can take a general point about the importance of apprenticeship and discipleship in the arts. In order to make progress one needs to study very closely the masters of a chosen style, and to content oneself for many years with following closely what they did, gradually bringing more and more of one’s own sensibility into what one creates. I would like to conclude by throwing this observation into more of a public, social aspect. According to Ruskin the more people in a society that are engaged in such activity that combines creativity and reverence to tradition the healthier it will be. He remarks that the England of his day maintained at huge expense a large class of men, the railway navvies, for the purpose of moving large quantities of earth from one place to another. Suppose the same sums had been employed in building beautiful temples and houses, and those same people encouraged to develop to their furthest capacity the skills needed for this. What an increase in the health and true wealth of the nation this would have been!